The Essteele Per Sempre 34cm Covered Wok combines premium quality materials with world renowned Italian engineering to create beautiful, chef-choice cookware. The thick, fast-heating core allows the pan to heat the base and all the way up the sides simultaneously, giving this cookware perfect heat control and optimum performance. This 34cm wok is a must in any kitchen. 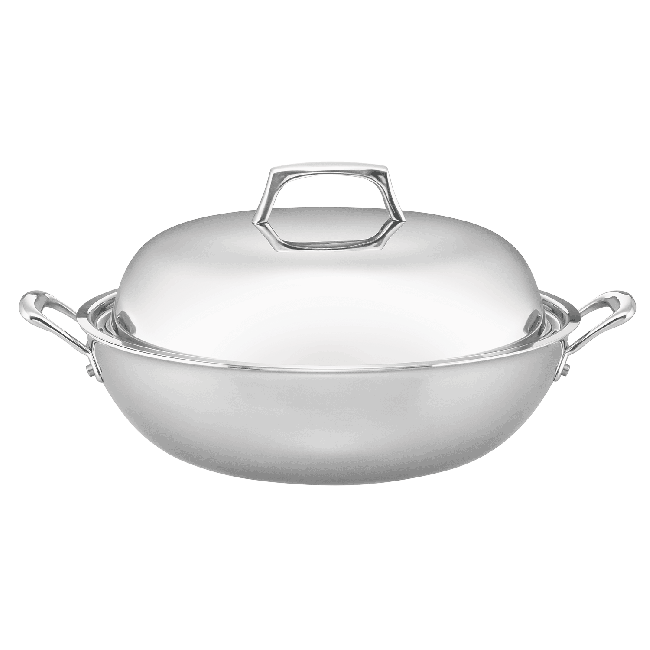 Perfect for stir frying, deep frying, poaching or braising, let your cooking imagination take hold.